A statistic provided by the American Academy of Ophthalmology stated that over 2.5 million eye injuries occur each year along with 50,000 individuals permanently losing part of, or all of their vision. Simply put, a corneal abrasion is a scratch or trauma that occurs on the cornea of the eye. The cornea is described as the clear covering over the iris, or colored area of the eye, and the pupil, which is the black circle in the center of the eye. These parts of the eye are essential for vision, thus the cornea protects the eye from damages which could occur from outside elements. As we may not recognize it, but the cornea is actually constantly working against hidden objects in the air. Some objects, if entered into the eye, may cause extreme pain and discomfort, thus it is advised not to run the eye to avoid further damage and pain. If you or a family member has been injured in an automobile accident resulting in a corneal abrasion, the victim may be eligible to receive compensation including; medical expenses, pain and suffering, loss of wages, and property damage. To learn more, simply complete the Free Case Review form located on this page Its 100% Free. As the cornea is extremely sensitive and relatively vulnerable, it is often injured during automobile accidents. In fact, a National Crash Severity Study on eye injuries shows that out of the 62,026 accidents studied, where the vehicles had to be towed, there were 45 occupants that reported eye injuries, while eight of those occupants were partially or completely blinded. These injures are often caused by the head striking an intimate object or something in the cabin of the vehicle entering the eye. Note that corneal abrasion symptoms may not appear immediately, which will often later result in unknown causes. For this reason, it is advised to always seek medical attention after a car crash, no matter the severity of accident. If you have never had a corneal abrasion before, the first time pain will feel like something you have never felt before, and will likely never forget. Even though the pain and discomfort of a corneal abrasion is tremendous, it is often covered up during an accident by other sources of pain caused by injuries. If you are experiencing any of these symptoms of a corneal abrasion, it is advised to seek medical attention to prevent further injury. Additionally, these medical documents are imperative in creating a case against the negligent party. Typically, our first reaction to something in our eye is to rub it. Of course, this is often associated with causing further damages. Thus, there are several things we can do to ease the discomfort as well as not cause further damage. If an object has become lodged in the eye, it is recommended not to remove the object and wait for a medical professional or surgeon to do so. If you continue to feel a discomfort in the eye after performing these steps, contact a medical professional as soon as possible or visit the nearest emergency room. Once you have made the decision to visit a medical professional, they will typically examine the eye and use a stain to identify any abnormalities on the cornea of the eye. If doctors find a foreign object on the eye, they will use specific tools to remove the object safely preventing further damage. Oral analgesics are used in treating corneal abrasions and are issued as a pain relief. They are much less expensive than their topical alternatives, however there is no direct evidence supporting their ability to cure the corneal abrasion. Topical analgesics are a commonly issued non-steroidal, anti-inflammatory drug that is used to reduce the pain and discomfort associated with corneal abrasions. Topical antibiotics are used to treat infections which may reduce the time of healing. By eliminating these infections, healing time is often increased substantially. In most instances, a patient will be re-evaluated after 24 hours of the initial evaluation. At this time, if the eye has not fully healed, they will return for another evaluation around a week later. Of course, the time it takes for the eye to fully heal is always associated with the size and severity of the injury. 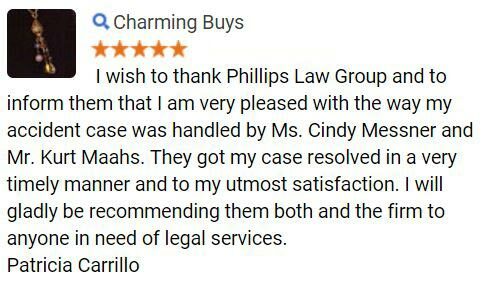 At Phillips Law Group, our accident attorneys understand how hectic life may become following an accident, which is why we will help guide you through the entire legal process and work relentlessly to achieve the maximum compensation benefits you deserve. With our main headquarters in Phoenix, our personal injury attorneys are licensed to serve the entire state of Arizona, and have connections around the United States. 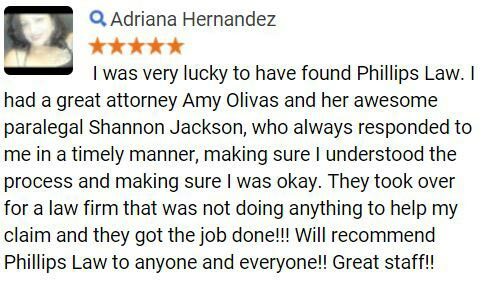 To gather more information about our Phoenix auto accident attorneys, or to schedule your free no-obligation case review, we encourage you to call or text 1-800-706-3000. 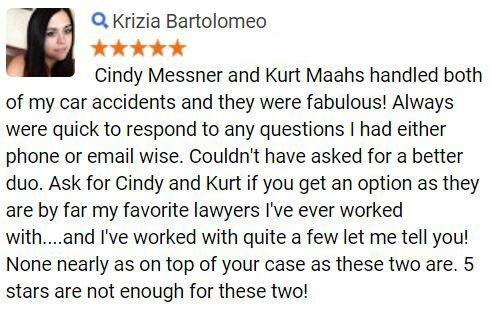 At this time a member of our team will gather information about your accident and quickly connect you with one of our compassionate attorneys ready to take your specific case. 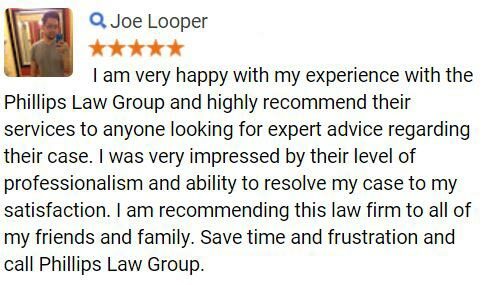 Start now by filling out the Free Case Review form on this page or by calling 1-800-706-3000.